I decoded three of the VOA Radiogram broadcasts this weekend. I decoded the 5910 kHz broadcast at 0930 UTC on Saturday (5:30 AM EDT Saturday). The 5910 kHz signal was quite strong here. Unfortunately, I neglected to set the recording level correctly. This meant that the audio level was much too loud and the high audio levels were clipped. I used Fldigi to decode the audio anyway and came up with these results. MFSK32 had two one word errors. MFSK64 had two one word errors. 8PSK125F had six one word errors and two unreadable paragraphs. MFSK128 had two one word errors. 8PSK250F had only three intact paragraphs. This wasn’t really a fair test because of the clipped audio, but it would seem to indicate that the MFSK modes deal better with clipping than the 8PSK modes. I was surprised by the good results for MFSK128. It is four times faster than MFSK32. 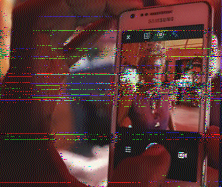 The clipping caused the first two images to be garbled, but the final two images were fine. I have no idea why they weren’t affected by the clipping. I also decoded the 17860 kHz broadcast at 1600 UTC on Saturday at 1600 UTC (12:00 PM EDT Saturday). The signal strength of 17860 kHz was poor again here this week, but it was a bit stronger than last week. Unfortunately, the signal weakened as the broadcast continued. 8PSK125F had only one readable paragraph. This doesn’t necessarily say much about MFSK128 or 8PSK250F because my reception had weakened considerably by that time in the broadcast. None of the images decoded in this broadcast. I also decoded the 15670 kHz broadcast at 1930 UTC on Sunday (3:30 PM EDT Sunday), which came in stronger this week. The interference that affected the 15670 kHz broadcast for the previous two weeks wasn’t a problem this time. 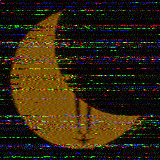 If it was still there, it was at levels that didn’t overpower VOA Radiogram. Kim Andrew Elliott pointed out that the interference I described had similarities to shortwave jamming. Since one of the purposes of VOA Radiogram is to show how information could be broadcast into areas affected by jamming, my results might actually have significance. 8PSK125F had only three intact paragraphs. MFSK128 had at least a one word error in all but one paragraph. 8PSK250F had only a handful of intact words. My results suggest that 8PSK125F and 8PSK250F, although quite fast, didn’t work very well at my location. I will be interested to see if they decoded better for people in other parts of the world.